A spicy crispy snack with potato needs no introduction. This snack needs just one medium potato and can feed a crowd. Both kids and adults equally love snacks made of potato. 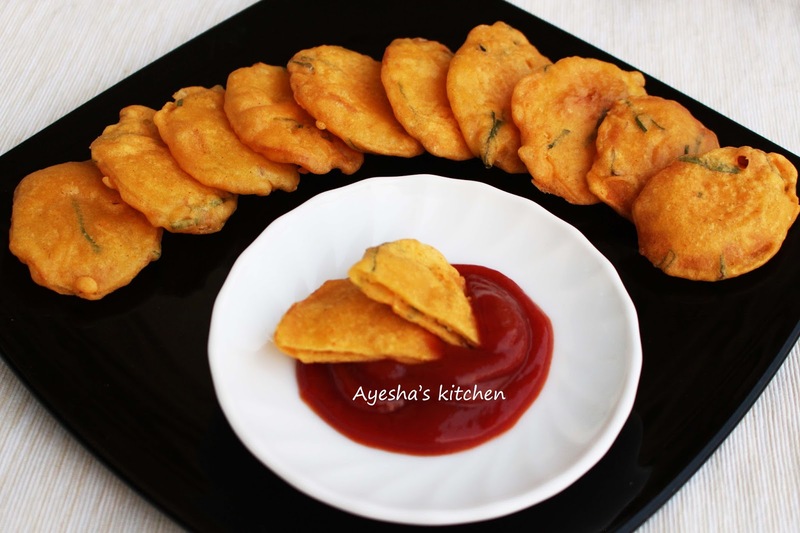 Like so pakora recipe is the one we love to enjoy on weekend evenings. 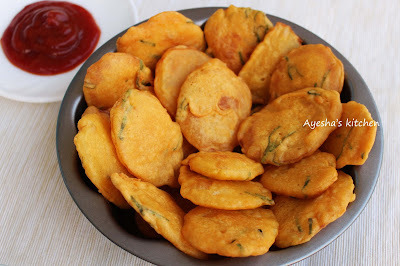 It is very quick and simple to make potato snacks. Some of the popular snacks like spicy french fries, potato bhaji, tornado fries, bonda, cutlet are our all-time favorites. And Potato smiley which is one of the most delicious kids snacks ever. Pakoras or pakoda is an amazing crispy snack commonly made with different types of veggies along with gram flour. Here let's learn how to make potato pakoda recipe. 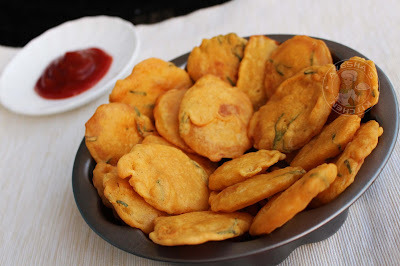 So let's see how to make potato snack / spicy potato pakora / vegan snacks / Indian snack recipes / easy quick evening snacks Enjoy!! Peel and slice the potato and make thin round slices. You must make a thin slice. 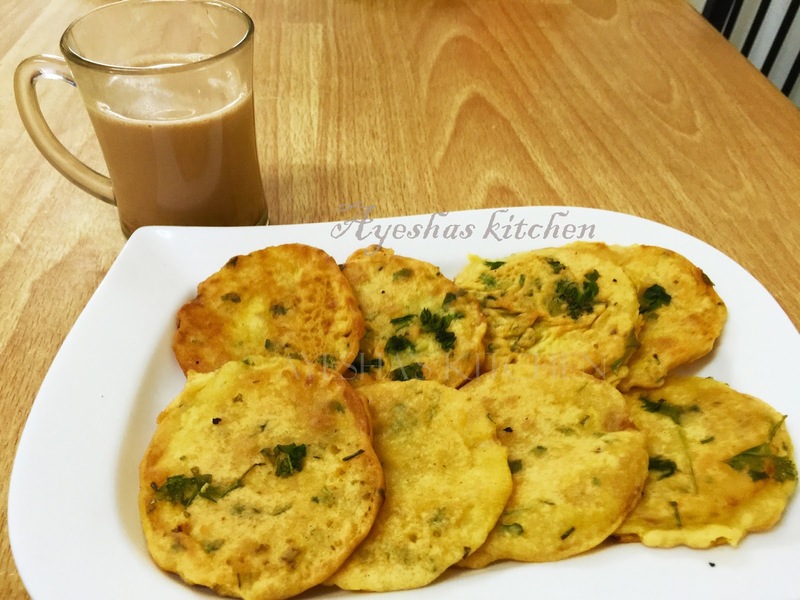 Take the gram flour, chili powder, baking soda (OR half tsp of baking powder), chopped coriander leaves in a bowl. Mix it by adding little by little water and make a thick batter. Then add less salt. Do not add more salt for snacks. Heat oil in a pan (frying pan is better than deep bottomed wok). When hot, dip each thin round sliced potato in this batter and coat the potato well with the batter and drop into the hot oil. Fry both sides in a medium flame. Swirl the pan in between so that it will fluff up quickly. Flip, only when one side is done. Fry on a medium flame. Drain the excess oil using tissue paper. Serve hot along with a ketchup.